Mayfield Toyota | Blog | DO I QUALIFY FOR A CAR LOAN? DO I QUALIFY FOR A CAR LOAN? 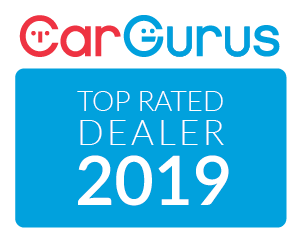 Are you a first-time car buyer in Edmonton, Alberta? Do you have questions about vehicle financing? Do you want to know if you qualify for a car loan? Mayfield Toyota can help! This post will explain the things lenders look at before you can be approved for vehicle financing. We’ll also explain what you need to have on you when you apply. While applying for a car loan for the first time can feel like a scary process, it doesn’t have to be. If you still have questions about car loans, vehicle financing or if you qualify for a car loan – give us a call at +1 (780) 420-1111. Our experienced team of finance experts can answer all your questions and walk you through the application process! WHAT DO I NEED TO HAVE TO APPLY FOR A CAR LOAN? If you have excellent credit, the process can happen quickly. All you need to do is fill out a credit application and you could be approved within the day. Credit isn’t the only thing we look at, though. WHAT DOES A LENDER LOOK AT BEFORE I AM APPROVED FOR A CAR LOAN? Credit plays an important role in determining whether you will be approved for a car loan or not. But did you know there are other factors to consider? That’s why we always encourage people to apply even if they have bad credit. When you apply for a car loan at Mayfield Toyota, we will ask you where you work and how long you have worked there. The longer you have been with an employer, the better, however, if you are at a new job it doesn’t mean you can’t be approved! It’s helpful if you have been with your job two or more years. We want to make sure you can afford the car loan you are applying for. If the loan seems like it might be too much for you to realistically handle in payments each month, we might suggest looking at a different vehicle. It is recommended that you spend 10-15 percent of your gross income on vehicle expenses. This includes your monthly payment, fuel, maintenance costs (i.e. oil change), insurance, and registration. This is standard operating procedure. We just want to know how much you owe in other outstanding loans or credit card bills. As well, we might ask if you have ever filed for bankruptcy before or if you have ever had a bill sent to debt collections. Asking this information is not meant as a way to judge you. It just helps us paint a clear picture of your financial situation moving forward. The best advice is to be truthful and forthright. You are not required to put a down payment on a vehicle before you buy. In fact, if it is going to hinder your ability to make timely payments we recommend that you don’t. If you have money saved up and can afford to put some of it down, it’s always a good idea. This demonstrates your ability to save money and helps lower the amount of money you borrow! That means spending less money in interest! Your credit score is a product of your debt-to-income ratio and bill-payment history. The higher your credit score is, the more likely you are to be approved. It also means your interest rate will likely be lower. If your credit score is lower, you can still qualify it just means you might end up paying more in interest over the course of your loan. If you are a first-time buyer or haven’t had a chance to establish a credit score yet, don’t worry. You can still apply, however you might be asked to provide a co-signer. A co-signer is someone who has had a chance to establish credit and promises to assume the responsibility of the loan in case you default. For many, this is a parent or close friend. Credit scores range from 300 to 900. You can check your credit for free once a year. That will give you a better idea of your chances of being approved for a car loan. To check your credit, click here (TransUnion) or here (Equifax). WHAT IF I STILL HAVE QUESTIONS ABOUT CAR LOANS? Are you still unsure if you qualify for vehicle financing? No problem. Give us a call at +1 (780) 420-1111 or contact us online. If you want to apply for a car loan in Edmonton, click the button below. Mayfield Toyota has hundreds of new and used vehicles that range in prices. Browse our entire inventory online here!